Reserve America, the largest campsite reservation service in North America, has released its annual list of top family campgrounds. 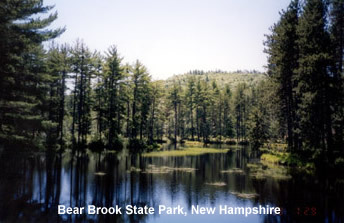 Criteria used to select the campgrounds included the availability of amenities family campers most often request such as hot showers, laundry facilities, hiking trails, family beaches, radio free zones, visitor centers, educational programs, events for children, and parks that are located within 100 miles of a metro location. 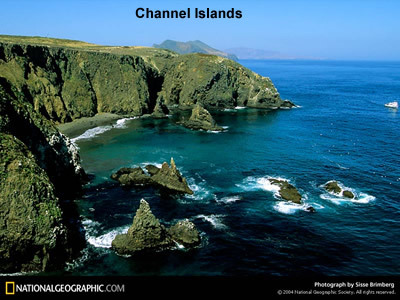 There are national parks, one of which is Channel Islands National Park in Ventura, California; state parks, one of which is Fishermen's Memorial State Park and Campground in Narragansett, Rhode Island; KOA campgrounds, one of which is St. Augustine Beach KOA in St. Augustine, Florida; and two resorts, one of which is ViewPoint RV & Golf Resort in Mesa, Arizona. The list doesn't have many private campgrounds on it because Reserve America primarily handles reservations for Federal/National Parks and State Parks. The private campground it handles reservations for are Encore/ELS, KOA, and Thousand Trails. Of the 100 campgrounds on the list I've only been to one, Devil's Lake State Park in Baraboo, Wisconsin. 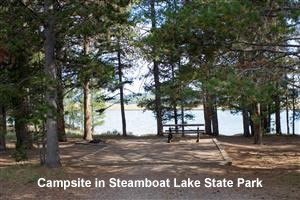 It's a nice state park but the downside is that the campsites are pretty far from the lake and if a family wants to enjoy a day at the beach it's a long way to walk - especially when loaded down with food, beverages, sunscreen, towels, and flotation toys for the water. Here's the complete list of Reserve America's top 100 family campgrounds for 2008. Have you been to any of these campgrounds? Do you have a different suggestion for one of the top 100 campgrounds? If you have, please share your thoughts about its ranking as one of the top 100 family campgrounds in America in the comments section below. Personally, I think the best campground in Wisconsin, which is where I'm from, is Peninsula State Park in Fish Creek, Wisconsin. It has campgrounds very close to the beach, bike rentals, boat rentals, level hiking and biking trails, an outdoor ampitheater, a nice nature center, a lighthouse, a 75 foot high lookout tower, and a fun night-time Halloween walk in October.